Mention the word "Food" or "Eating" in Vietnam, and most of the images conjured would be of this. It is a very common picture depicted in most of the mass media on the images of the food scenes in this country, or even Vietnam in general. Tiny stools and small plastic tables fit for a child's study table are found in most parts of the country; including a fast-paced and developed city like Ho Chi Minh City (Saigon). Locals and even tourists alike are often spotted in hunched positions as they bend their torsos toward that bowl of noodles or plate of vegetables placed right in front of them, at a level where only a child could possibly sit comfortably. Sometimes the one preparing their meals could just be right beside them; busy dipping in the noodles in and out of the hot soup in a big cooking pot perched atop a burning fire. It beats me how the person sitting right there could just enjoy the meal; shrouded in that thick cloud of smoke and the very possibility of the hot soup landing on their feet, or heads. It gives a whole new meaning to the word, landing in hot soup, doesn't it? Nothing like that happens, not ever, but the chances are minimal. 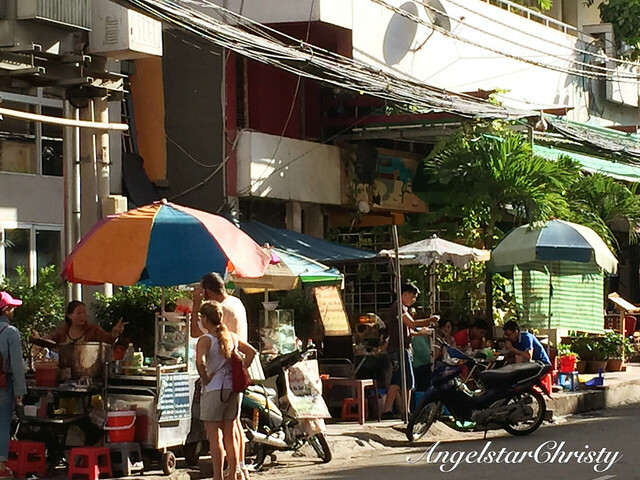 It is just the norm here in the region; this art of street food culture. People do not mind, in fact, they find it fascinating to crouch over small tables and speaking in that chicken-and-duck language while placing their orders and then finish their meals, pay and even walk away with a universal sign of thumbs up while being greeted by a smile of pride by the stall owners. This is just how it works in Vietnam. 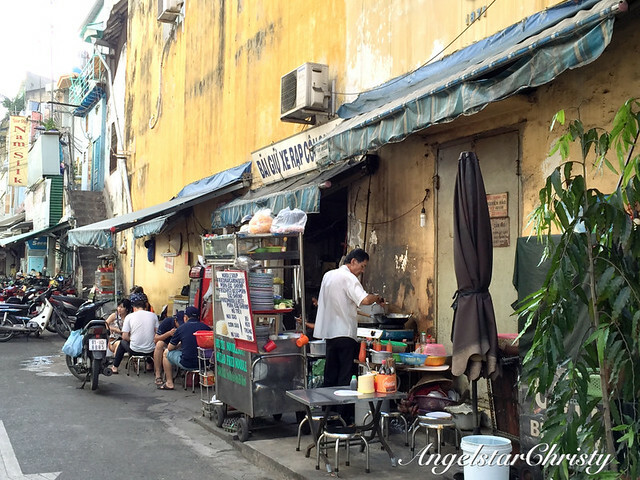 Street food makes up a part of the lifestyle here, but that doesn't mean that is all to the food here in Vietnam. (They do have cafes and restaurants too, just so you know. 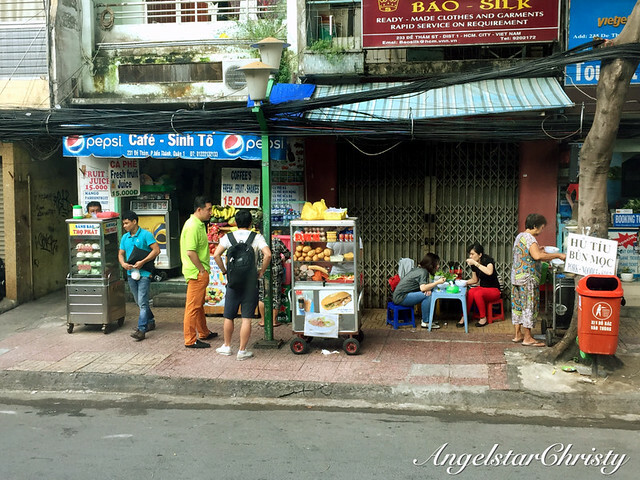 So don't worry if street food or being squashed in that corner is not your kind of thing). In fact, the Vietnamese cuisine is much more than that. It is an interesting perspective altogether to look into the whole art of the preparation and the way they all come together to make up the cuisine. 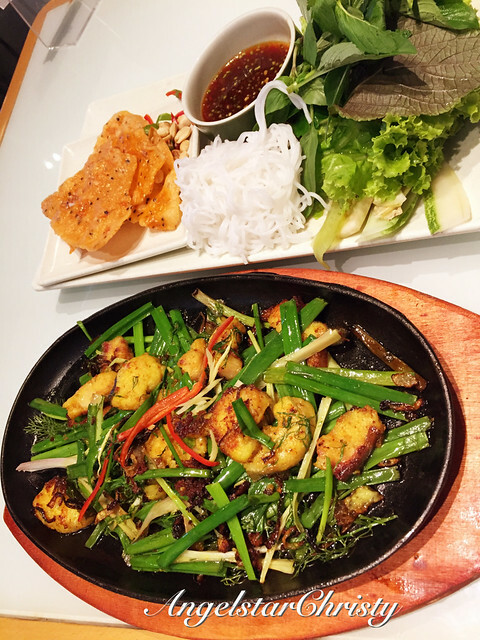 Heavily influenced by the Chinese traditions, and like most Asian cuisines, the Vietnamese cuisine is based on the five elements, to create that balance and harmony (the Yin and the Yang) in their blends. These are the basic principles of the elements surrounding most of the Asian traditions, be it in cooking, medicine, fortune and well-being in general. The list of Five continues, following the concept of the above mentioned elements and senses whereby the spices are used as tools to stimulate the senses and to fulfill the balance required in the fundamentals. That is also the reason that there is often Five types of colors the Vietnamese try to incorporate into their cuisine, to reflect the five elements. It is all about a wholesome meal and that includes the nutrients, which are also in Fives. That is the last of the Five. Together, they form a corresponding table, which can be found here. Not at all, it is just the basis revolving the cuisine in general and it is the same with most of the Asian cuisines, which incorporates the Five basic elements. We have all heard of them. Wood, Fire, Earth, Metal and Water, especially when it comes to the field of Feng Shui, perhaps? 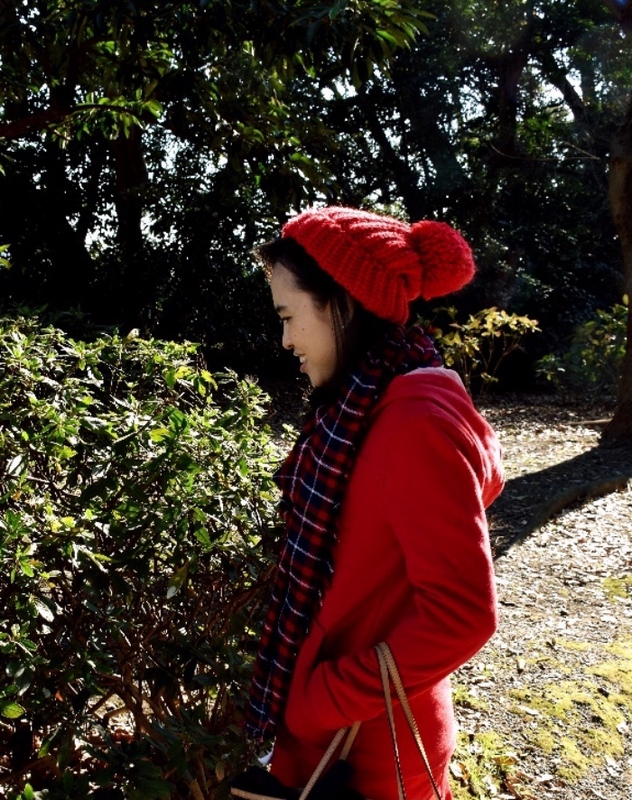 They are the most fundamental principles surrounding the way of life in the Asian culture, and not just in Feng Shui. They are everywhere, and they are surrounding us. We just do not intentionally segregate them by their categories when it comes to food or our lifestyle, because they have just so well blended into our lives; embedded and are just part of us naturally. We no longer see them as separate entities. Then there is that whole notion of the Yin and Yang, to add to the balance. It is all about striking that perfect harmony, as believed to ensure the well-being in general. 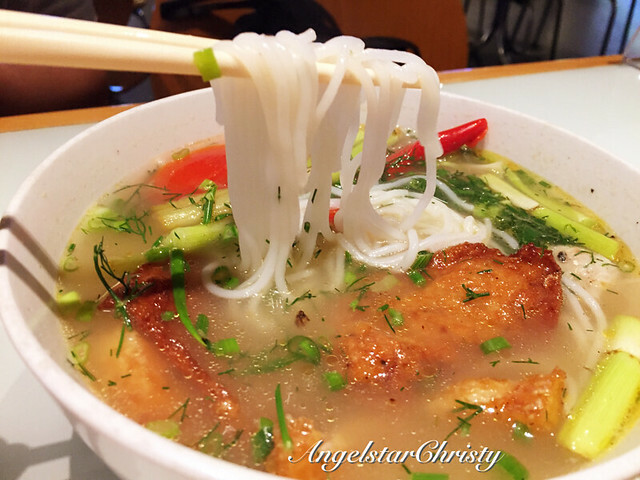 That is about the Asian cuisine, and the Vietnamese cuisine is not any different from that. The Yin and Yang is about the balance, and usually represented in the 'Cold' and 'Hot' respectively. It is not about the temperature alone that reflects these terms, for it is about the properties in each of the food elements or basically the ingredients involved in the food preparation. The food are commonly categorized according to their properties; where some food are deemed as 'Cold', or Cooling; and the other is 'Hot' (Heat). The properties of these foods are not to be underestimated; for they play an important role in providing the right nourishment and to balance the elements in the human's body, upon consumption for a whole well-being. The Asians take this very seriously, and you can see it in the mix of the spices and ingredients used in most of the Asian cuisines. For instance, spicy food contain chilies and a variety of spices to make it, quite obviously, a type of 'Hot' food and usually, this is balanced with sourness, which injects that cooling effect in the Vietnamese cuisine. (Sometimes the spicy food could be accompanied by cooling drinks or even vegetables of 'Cooling' nature included in it). Sweet soups, or desserts are not excluded either, and they are often found with a mix of ingredients in them to create that perfect balance. It is the same with most of the cuisines worldwide; be it from the East or the West, the ingredients are always the main leading star, and it makes all the sense, doesn't it? After all, that is what the food is made up of, in the first place. 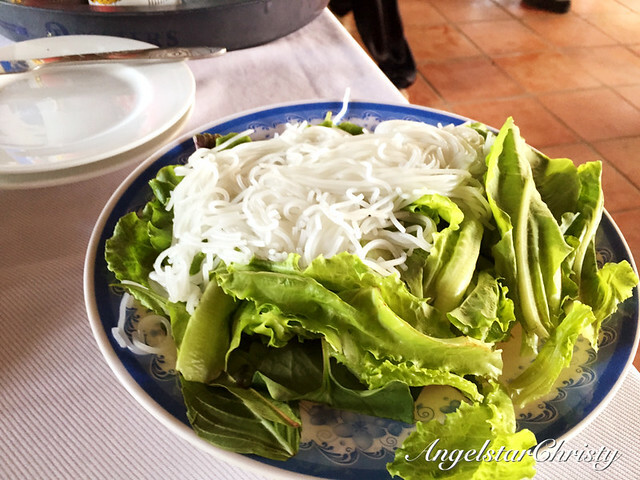 The Vietnamese cuisine prides on the freshest ingredients, just like the others; but they are indeed blessed, with the tropical climate and the topological conditions which literally, showered them with an abundance of fresh vegetables and fruits, all year long. That explains the reason behind that massive amounts of vegetables (and in an assortment too) found in the bowl of the noodles, or in almost everything you order in Vietnam. They are really generous with the vegetables here, and they won't mind giving you seconds, if you need. Honestly, even for someone who adores vegetables like me, I sometimes feel helpless, and like I was in some way, a cow, shoving my face into that huge plate of vegetables and it seems to be bottomless. I almost cried for help when More vegetables arrived. Most of the vegetables and herbs they really love here, though there are really, a wide variety; are commonly the basil (Thai Basil) leaves, coriander, Vietnamese mint, bird's eye chili (also known as cili padi to Malaysians, a fiery spicy little green cili), lime, lemongrass, ginger, long coriander, and also the Saigon cinnamon (locally produced with a distinct taste). Definitely more than Five types of vegetables here, and there are more, though these are the usual culprits which I see/taste in most of my meals. 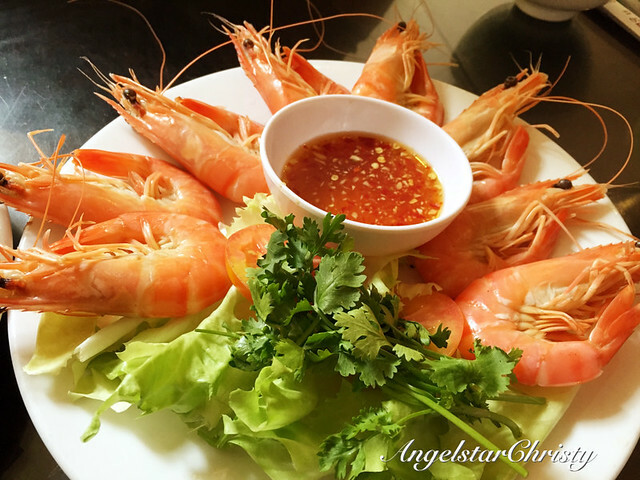 To enhance the tastes and flavors of their dishes, there are also the few favorite ingredients added to it; such as the famous fish sauce (Nuoc Mam), shrimp paste, and soy sauce. *Fish sauce is locally produced here and is one of their famous local products; found in Phu Quoc and Phan Thiet. Seafood is in abundance here too; in fresh forms due to their proximity to the sea. They love their meat too; pork, chicken and beef are all commonly used in most of the noodles and food prepared here. Like most Asians (this is an Asian country after all), Rice is always a part of the cuisine. Rice in its own basic white form; or rice-based forms such as flat rice noodles, glass noodles, vermicelli, rolls, rice cakes, pancakes; you name it, they've got it. They love their rice here, and it is not uncommon to see plates laden with rice just to be accompanied by a meagre amount of side dishes such as fish, meat, etc. If you thought that Asians eat a lot of rice, this is where it would fit the description best, for the Vietnamese could be easily labelled as the ones who ate the most rice. The saying that carbohydrates make you fat, does not seem to apply here as you rarely see a case of obesity around here. Most of the Vietnamese are fit and in medium build; not swaying to either ends of the weight curve. They must have good metabolism, or simply, good genes. It is not surprising either, to learn that Vietnam is the second largest exporter of rice, after the Rice Bowl of Asia; Thailand. They are also the World's Fifth largest producer in rice and the World's Seventh Largest Consumer of Rice. All in the Top Ten list. I can bet you though, that even the Thais don't eat that much rice, or any other Asians, for that matter. The Vietnamese really do love their rice, I mean it. They adore and worship their rice, and I am not saying this in a sarcastic manner. Rice is deemed as a gift or a blessing from heaven, and the Vietnamese refer to rice as "white gold" in their local language. In fact there is even a local Vietnamese folklore associated with the origins of rice in this country. Legend has it that there were no rice in the country in the very beginning and they had to pray for it. Rice was not produced and they had to plead from heaven for rice and their prayers were answered with the arrival of large balls; which were actually the form of rice. These large balls would appear in each and every house; becoming their main source of food. One day however, in one such household, a woman was sweeping the floor in her own house in preparation to welcome the rice ball, as ordered by her husband and it was at that moment that the rice ball landed in the house while she was still sweeping. The rice ball then coincided with the stick of the broom and broke into many tiny pieces. Since then, the people had to work with their own hands to grow rice for their own consumption. *Do not ask me what happened to the woman, after she caused that misadventure. Now you can see why Vietnamese really glorify their rice and rice is simply treated with utmost importance. Perhaps it is due to the effort in growing the rice, harvesting and such, but generally also because it is a gift to them (legend or not), and they are thankful for the abundance of rice they are blessed with. It is a staple in their diet, along with most of the Asian countries. The Mekong Delta is the area in the south of Vietnam, comprising of 12 provinces in total, where the heart of the rice production in Vietnam is; nicknamed as the Rice Bowl of Vietnam. It is really quite a sight; in this very region (which I will blog about later in another post), where the paddy rice fields, houses, boats, markets, water and generally, the people make up the population and the landscape. With a total of 17 million (or more) population in this delta region, there are more than 40 millions of rice produced annually; which makes up half of the entire country's production. 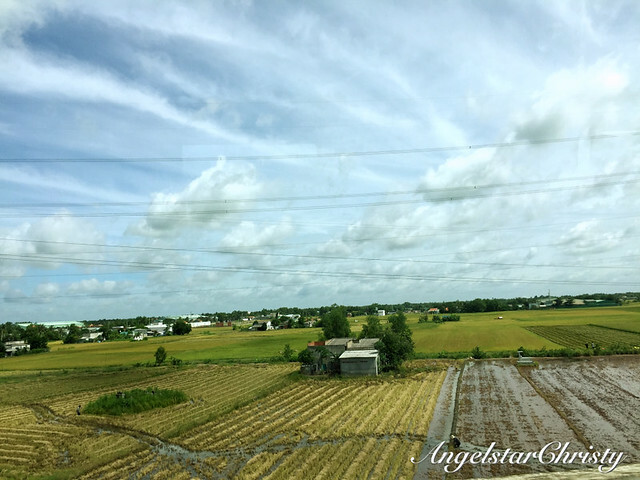 The population is mostly involved in the rice production; making up 80% of rice growers in the area alone. This area itself can grow enough rice to feed the entire population of the country (as it nickname already reveals) and there could still be extra portions overflowing from that feed. That is the reason you will see rice, in some form or another, in almost every meal here. 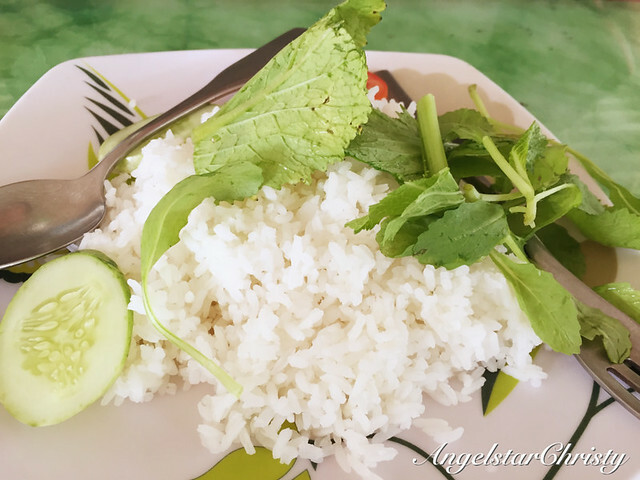 The Vietnamese could eat rice for breakfast, rice and dinner. This is what it really means by being a rice producing country. Geographically, Vietnam as a country is shaped like a really skinny 'S' on the map, bordering countries like Thailand, Cambodia, Myanmar, China and Malaysia. It is hard to say that with such close proximity, they are not influenced by each other particularly in the tastes and flavors of their cuisine. 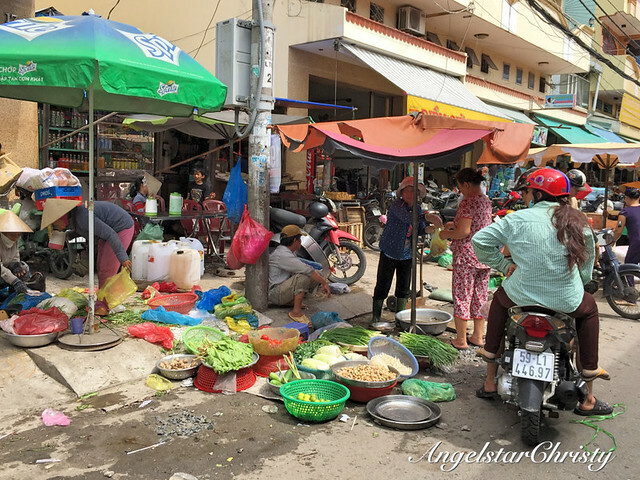 However, Vietnamese is still distinctive in their own ways, though within the country; the tastes do travel (yes, they do) and adapt accordingly, based on the geographical location. You could say the flavors and tastes of the cuisines in the nation, evolve and are geographically inclined; just like the climate. It is logical; since the regions differ in their topographies. The North is far more subtle in their tastes; owing to their cooler climate which discouraged the production of spices and everything in general. As such, the northern cuisines adopt a more natural taste compared to the other regions, with more emphasis on flavoring essences added to enhance their flavors (the other regions would consider it bland sometimes). 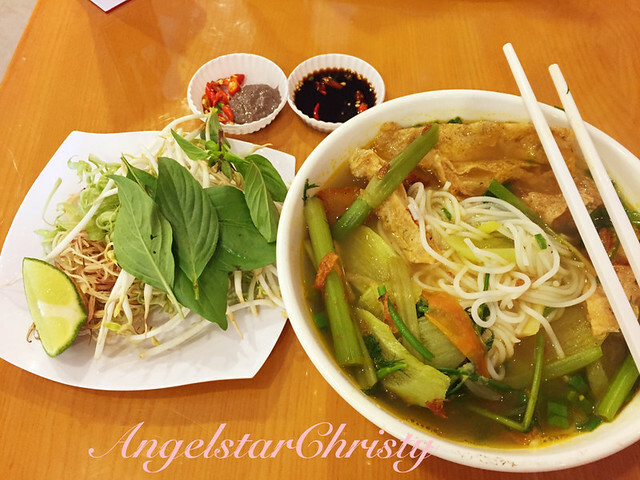 Most of the food here are not spicy but most of the signature dishes of Vietnam do originate from the northern region, such as the bun cha (rice noodles with pork/chicken), cha ca la vong (grilled fish with rice noodle); just to name a few. 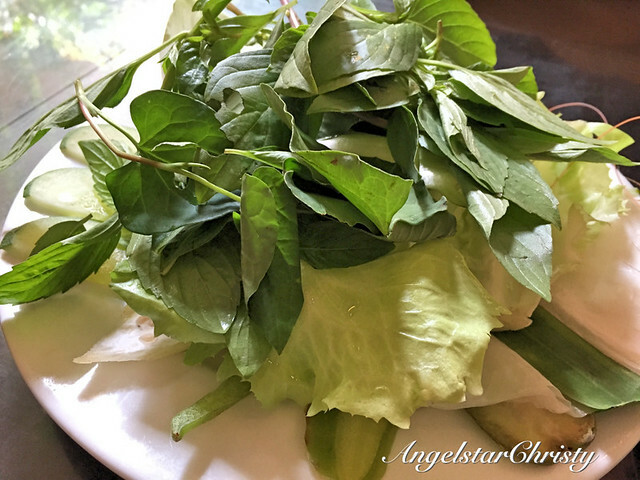 It is not surprising though; the origins of most of Vietnam's signature dishes, since the north is the start of the civilization of the nation. 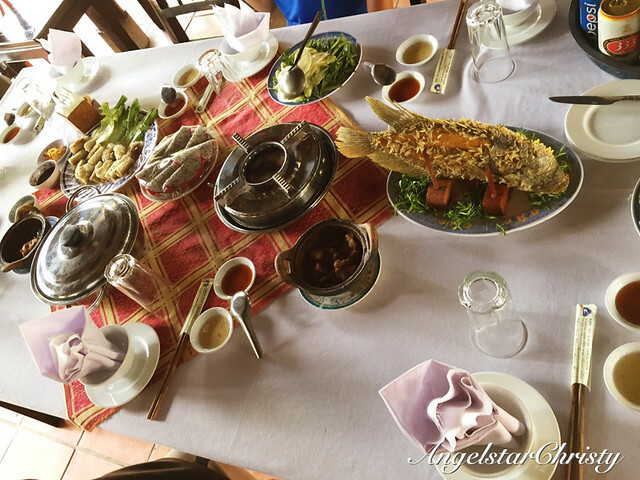 The Central region is home to the spices due to its tropical and mountainous landscape, and most of the food here is enhanced with the addition of spices more than as compared to the other two regions. Naturally, the food in the central region are often known to be spicy. Furthermore, the central region was once home to the former royal capital of Vietnam; Hue, which makes the region rich in culture and even varieties fit for a king, or a royal feast, to say the least (pun intended). 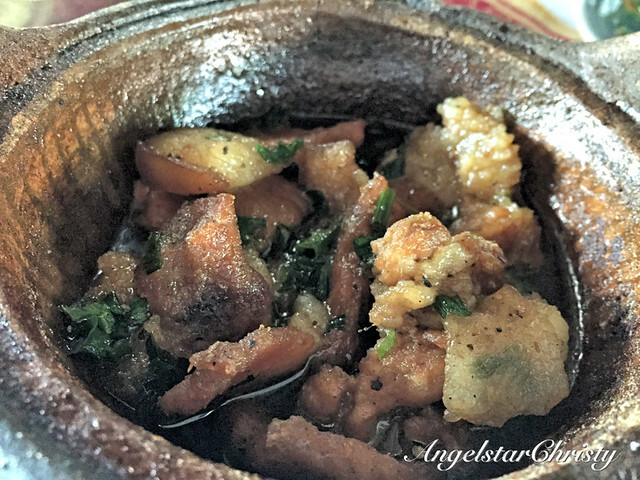 You could find many smaller and exquisite side dishes complementing the meal here in this region. Moving down south, the tastes are slightly stronger as compared to the other regions. The warmer climate here sets the soil for the growth of fresh produce; vegetables and fruits, and even the rearing of animals, which are often used in heavy loads in most of their cuisines. Tastes are slightly stronger, as compared to the north and the central; possibly due to the influences from the various foreign visitors and also their past background in association with the French and Americans, infused into their taste preferences. Due to the industrialization and development as well, it is common to see many Western fast food cafes, outlets and restaurants making their way into the local younger generation's preferences. 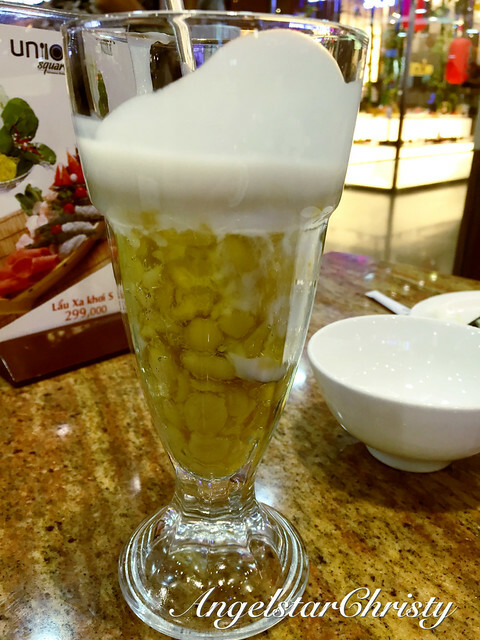 Food here are more flavorful, with slightly stronger taste preferences in everything and you could see their inclination towards sweeter tastes too; with addition of sugar, or coconut milk, or condensed milk to their food, drinks and desserts. Definitely more than five, this time. 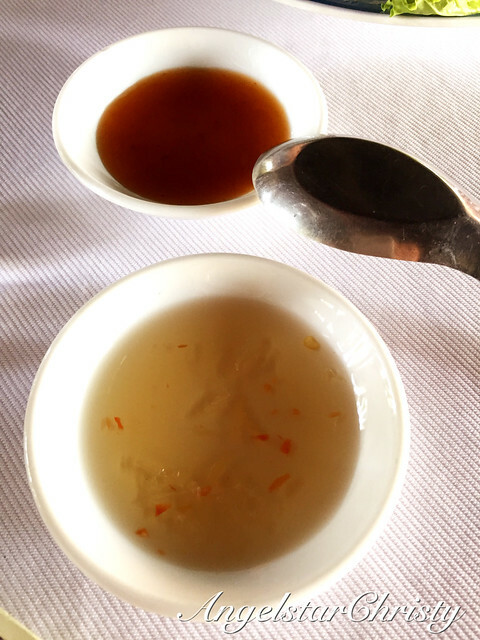 I have yet to try almost everything in Vietnam yet, and at this time of posting, I have just tried most of the food in the Southern part, and I strongly agree that the tastes prove to be stronger; as in sweeter, richer, and just well, sweeter. I have tried replicas of the northern cuisine; in the form of the noodles and also the grilled fish, but I still think they have been infused with the southern preferences. 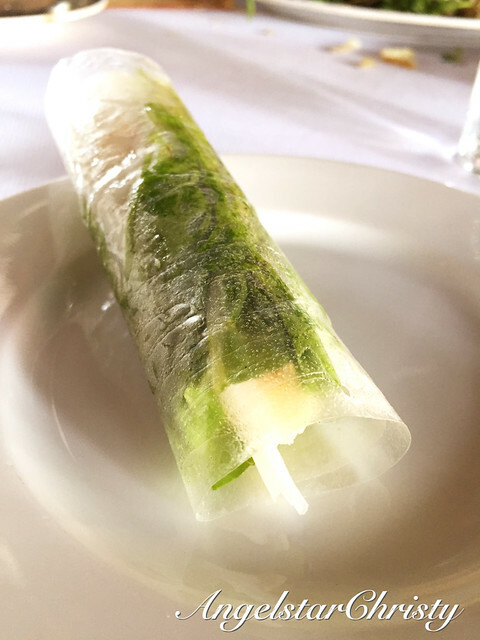 Traditionally, the Vietnamese cuisine prides on their natural tastes and their use of fresh ingredients, with minimal enhancements from other additives; generally speaking. Their emphasis on the harmonious balance based on the five fundamental elements make their cooking revolve around a rather complementary style to promote well-being of health in general. They are well-renowned and complimented for their minimalistic concept in their food preparation worldwide and in fact, presentation is not really a focus for they place more attention to the heart of the food itself; the ingredients themselves. 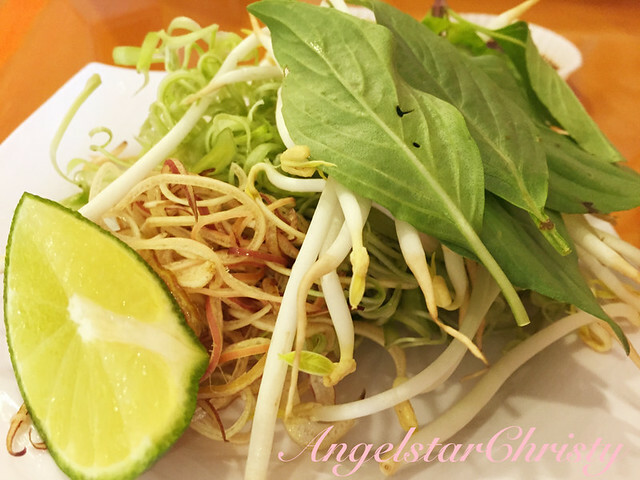 Freshness and quality of the food; with natural tastes centered on a perfect balance is all in all a concept of simplicity and that, is the very reason the Vietnamese cuisine is well-known as one of the healthiest and most wholesome cuisines in the world. Even the weight watchers would approve.